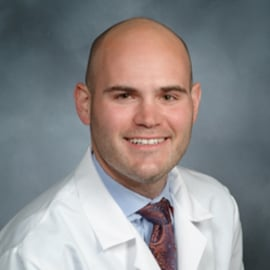 Dr. Alex Peters is a Paul Farmer Global Surgery Research Fellow at the Program in Global Surgery and Social Change at Harvard Medical School and Boston Children’s Hospital, and resident in general surgery at Weill Cornell Medical College/New York-Presbyterian Hospital in New York City. His research centers on improving the delivery of high quality and cost-effective surgical care, health economics and financing, medical education, and health innovation in low resource countries—with a particular interest in blockchain’s potential for transforming global health delivery and promoting health equity. Previously, he has worked as a financial analyst at Shattuck Hammond Partners in Manhattan, and as a research coordinator in the Emergency Department at Boston’s Beth Israel Deaconess Medical Center. He has assisted with community health building in communities from New York to central Mozambique, and with surgical capacity building in Liberia, Bolivia, and India. He holds an MD from the Icahn School of Medicine at Mount Sinai in New York, and a BA from Princeton University, and he is currently pursuing a Master of Public Health in the Department of Global Health and Population at Harvard T.H. Chan School of Public Health. He intends to pursue a career in pediatric surgery.